We all want our children to be moral. However, in a society made up of so many different groups of people, who gets to define what is moral? Whose morality? Whose values? At first blush, this seems like a difficult question. That is because there really is diversity when it comes to values and virtues. People and social groups differ. And we need to find ways to respect these differences. But this is where the conversation should start, not where it should end. The mere fact that we are a diverse crew doesn’t mean that we cannot also create common ground. Common ground, after all, is not something that is found; it is something that is created. Character is the moral aspects of our selves. To say that someone has character is to say that he or she lives life guided by a code of conduct. 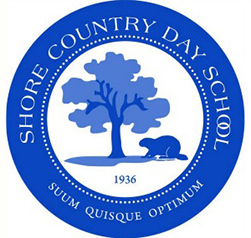 How can we begin the process of creating common ground when it comes to virtues and values? The answer? Pick a virtue – any virtue – and start there. 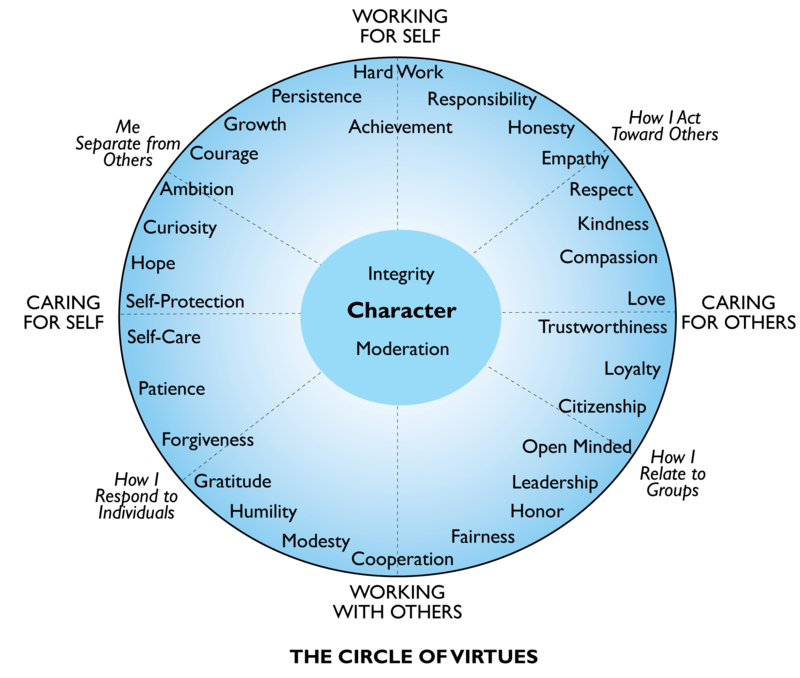 Take a look at the Circle of Virtues that accompanies this article. Which of these virtues do you find to be important? Which do you find to be less important? If you wanted to encourage your child to be a moral person, what virtues would you start by emphasizing? What would come next? And next? It doesn’t really matter what virtue you select to begin your moral journey. Start anywhere! Why? Because goodness begets goodness, which begets still more goodness. Regardless of which virtues and values you wish to emphasize in the Circle of Virtues, there is a kernel of goodness in each them. 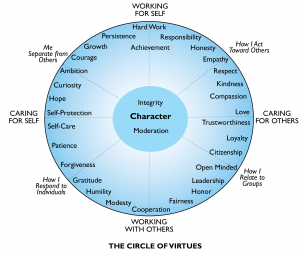 It should be possible to move around the entire Circle of Virtues and find something good in each of the ideas named there.